If you are looking for a picturesque setting for your Disney Dining experience, then look no further than the Yakitori House in the Japan Pavilion of Epcot. This Epcot Quick Service Restaurant not only serves authentic Japanese dishes like Teriyaki Chicken, Tempura, and Sushi, but also provides a beautiful setting in which to enjoy your meal. The Yakitori House was designed upon the architecture of the Tea House at the Katsura Imperial Villa in Kyoto, Japan that was built in the 17th centurty. 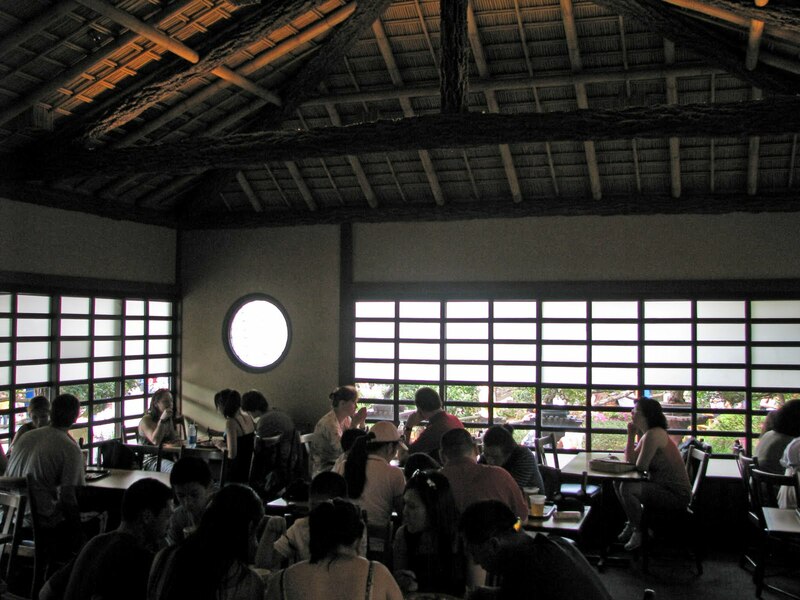 Like the Torii Gate and the pagoda that also grace the Epcot Japan Pavilion, the Yakitori House has a remarkable resemblance to the original Japanese Landmark. It is worth your time to explore the Yakitori House and the surrounding areas. In addition to the fascinating architecture of the building you will find a quiet outdoor seating area, beautifully landscaped gardens, a koi pond. The picture above shows some of the remarkable pathways and landscaping just outside of the Yakitori House. Across the small bridge you will find the peaceful outdoor seating area. This location is a great place to "get away" for a little bit and have a relaxing moment within Epcot. 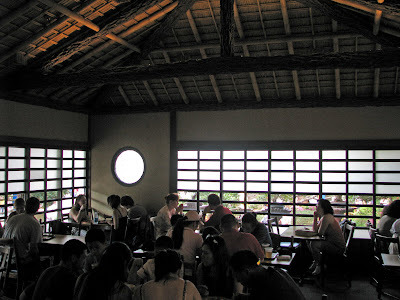 There is also seating within the Yakitori House, where the decorations and design of the building transport you to Japan. We would be remiss is we didn't talk about the menu. You have a variety of Japanese Entrees to choose from, as well as, Green Tea, Japanese Beer, Wine, and Sake. Teriyaki Chicken - Chicken with teriyaki sauce and steamed rice. Japanese Curry Rice - Spicy curry sauce with onions, carrots, potatoes, and beef served over steamed rice. Tempura Shrimp Udon - Tempura Shirmp and Udon Noodles in a clear broth with green onions. Chicken Ginger Salad - Garden Salad served with broiled chicken and origianl ginger dressing. Spicy Tuna Sushi Roll - Spicy Tuna mix, cucumber, green onions, sesame seeds reversed rolled in sushi rice and seaweed. Sukiyaki Beef Sushi Roll - Sukiyaki Beef, green onions, sesame seeds reversed rolled in sushi rice and seaweed. California Roll - Avocadoe, Cucumbers, seafood mix, and smelt roe reverse rolled in sushi rice and seaweed. Shogun Combination - Teriyaki Chicken, Sukiyaki Beef, and steam rice. Tonosoma Combination - Teriyaki Chicken, Sukiyaki Beef, and Tempura Shrimp with steamed rice. 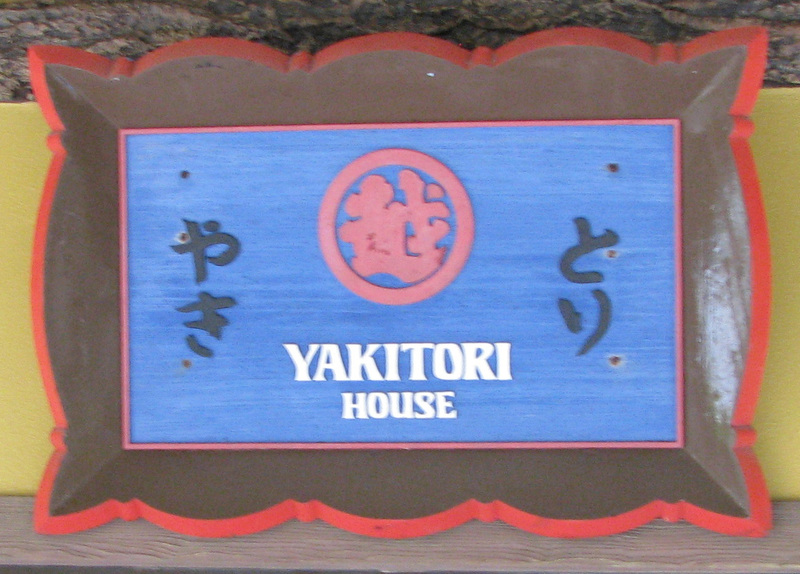 The Yakitori House is a great Disney World Quick Dining Restaurant. Lou Mongello of the WDW Radio Show, recently rated this as one of his top 2 favorite Quick Service Dining locations. If you have listened to Lou's podcasts you know that food is an important part of his Disney experience. In addition to the Japanese cuisine to try, it is worth it to just explore the building and the surrounding gardens. As mentioned before the outdoor seating area is a great place to take a break a relax in a secluded place at Epcot. 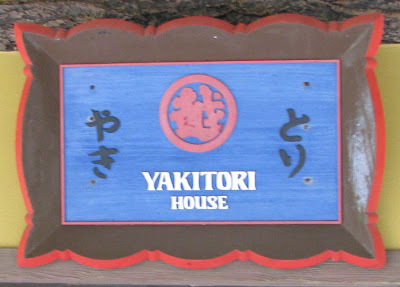 For all of the above reasons the Yakitori House is a recommended place to visit during your next visit to Epcot. 3 comments to "Disney World Dining: Yakitori House"
Are those all quick service options? Milo - Yes, they are all options to have as an entree ( even the combination dinners )for a Disney Quick Service Dining Credit.